The Senate Law and Justice Committee held its first hearing in its Sound Transit investigation on September 26. The Committee is investigating whether Sound Transit was improperly involved in the Prop. 1 election last November, whether Sound Transit purposely misled the Legislature in 2015 during its request for taxation authority, and whether the legislation that gave Sound Transit taxation authority is unconstitutional. 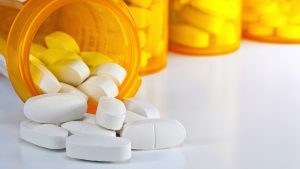 The investigation was prompted by a letter from Senators Steve O’Ban and Dino Rossi to Senator Mike Padden, chairman of the Senate Law and Justice Committee. The hearing focused on the last two issues; whether Sound Transit improperly participated in the election will be the focus of another hearing on October 5. 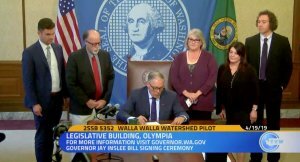 Did Sound Transit Purposefully Mislead the Legislature? 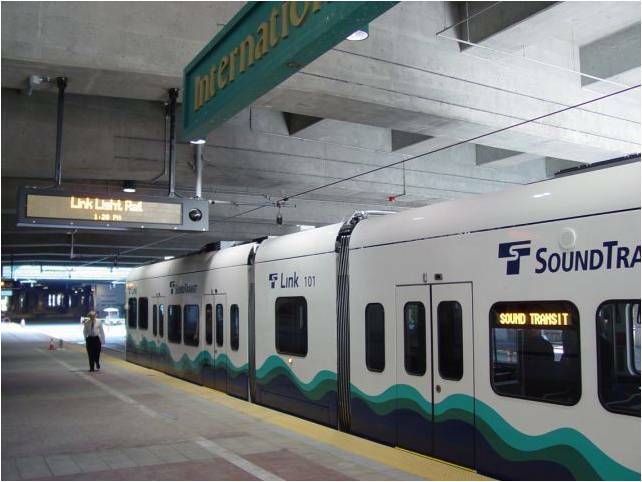 During the 2015 legislative session, Sound Transit was given taxation authority in Senate Bill 5987 to develop and operate a High Capacity Transportation (HCT) system. During the session, Sound Transit repeatedly referenced needing the full $15 billion in revenue over 15 years to fund the ST3 measure, including in at least 6 press releases in 2015 (one, two, three, four, five, six). Instead of proceeding with the $15 billion, 15-year plan proposed to the Legislature, Sound Transit proposed to voters a $54 billion transit package, of which $28 billion comes from new taxes over a 25-year period. The Committee, chaired by Senator Mike Padden, questioned two Sound Transit employees, Ann McNeil, Director of Government and Community Relations and Geoff Patrick, Media Relations and Public Information Manager. Both McNeil and Patrick said that Sound Transit did not purposefully mislead the legislature and argued that the “full $15 billion” that was referenced in many of the 7,000 documents obtained in the public records request was based on 15 years of tax revenue, similar to the ST2 project, but the legislation did not impose a 15 year time limit on collecting the taxes. McNeil explained that the eventual size of the revenue package was determined after extensive public input on what projects to include in the package. Senator O’Ban asked for both McNeil and Patrick to provide documents explaining that Sound Transit could authorize more than the documented $15 billion or that Sound Transit had asked for more than $15 billion before or during the 2015 legislative session. None of the 7,000 documents from the public records request reference any number besides the $15 billion. McNeil and Patrick both argued that all information was provided to legislators and voters in additional documents and voters knew exactly what they were voting for. Is Senate Bill 5987 Unconstitutional? In practice, this means that if a new piece of legislation is changing an older piece of legislation, the old section must be included in the new piece of legislation in order for the impact to be fully understood. It also helps to avoid confusion, ambiguity and uncertainty by not forcing legislators, or the public, to search for old legislation. The section in question in SB 5987 changes the Motor Vehicle Excise Tax (MVET) depreciation schedule to the 1996 schedule, which is higher than the 2006 version. SB 5987 only references the title, chapter 82.44 RCW, but does not include its text, raising the question of whether it was unconstitutionally drafted and if legislators knew what devaluation schedule they were authorizing. The Committee received testimony from Kyle Thiessen, Washington State’s Code Reviser; Professor David DeWolf from Gonzaga Law School; Desmond Brown, general counsel at Sound Transit; and Tim Eyman. Thiessan’s office codifies the law and assists with bill drafting. Thiessen said that his office will “give advice, make suggestions…but in the end it’s the member’s bill” and that “the entire legislature had many chances to look at [SB 5987]” during the session. He is not allowed to give his opinion on the constitutionally of a bill. Professor DeWolf argued that the Senate Bill 5987 violates the Constitution because the bill requires a reader to look up another statute to know its full meaning and it also rendered another statute invalid. DeWolf responded that even if the meaning was clear to legislators through other documents provide to them, the public must have access to the same information as legislators and that all information must be in the bill itself. Sound Transit’s General Counsel, Desmond Brown helped draft some of the bill’s language. He said that he received no indication that the language was unclear from legislators or legislative staff. He also testified that the decision not to include the depreciation schedule in the text of the bill was not made by Sound Transit. Tim Eyman’s testimony focused on Initiative 747 that passed in 2001, but was declared unconstitutional by Washington State Supreme Court because it violated Article II Section 37 of the Constitution by amending by reference. Eyman argued that Sound Transit should be held to the same standard. Several legislators have said that they did not realize they authorized the old depreciation formula from 1996, which was repealed twice, instead of the 2006 formula. “They [Sound Transit] never mentioned that. They were intentionally vague and deceptive,” said Senate Majority Leader Mark Schoesler. The Committee is still in the middle of its investigation, but even if it decides that Sound Transit purposefully misled the Legislature or Senate Bill 5987 is unconstitutional, it is restricted in taking action. The Committee has the option to turn over its findings to the Attorney General since the Legislature cannot negate the law or criminally prosecute Sound Transit employees. At this time it is unclear if the Committee will pursue that option. The Legislature can continue to work on legislation aimed at lowering car tabs taxes in the 2018 session. During the 2017 session, legislation was proposed to change the Sound Transit board from appointed to elected, tie the car-tab formula to the Kelley Blue Book value, and allow cities and counties to opt out of the ST3 taxes.